Mechanical solidarity is found in less structurally complex societies while organic solidarity emerges in industrialized societies. In mechanical solidarity social cohesion and integration comes from the homogeneity of individuals: People feel connected through similar work, educational and religious training, and lifestyle, which is often based on the kinship ties of familial networks. Organic solidarity is social cohesion based upon the dependence individuals have on each other in more advanced societies. It comes from the interdependence that arises from specialization of work and the complementarities between people. The two types of solidarity can be distinguished by morphological and demographic features, type of norms in existence, and the intensity and content of the conscience collective. Solidarity: A bond of unity between individuals, united around a common goal or against a common enemy, such as the unifying principle that defines the labor movement. cohesion: State of cohering, or of working together. 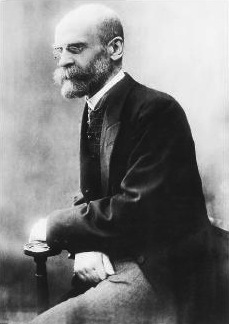 As part of his theory of the development of societies in, The Division of Labour in Society (1893), sociologist Emile Durkheim characterized two categories of societal solidarity: organic and mechanical. In a society exhibiting mechanical solidarity, its cohesion and integration comes from the homogeneity of individuals. People feel connected through similar work, educational and religious training, and lifestyle. Mechanical solidarity normally operates in “traditional” and small-scale societies, and it is usually based on kinship ties of familial networks. Organic solidarity is social cohesion based upon the dependence individuals have on each other in more advanced societies. It comes from the interdependence that arises from specialization of work and the complementarities between people—a development that occurs in “modern” and “industrial” societies. Although individuals perform different tasks and often have different values and interest, the order and very solidarity of society depends on their reliance on each other to perform their specified tasks. “Organic” refers to the interdependence of the component parts. Thus, social solidarity is maintained in more complex societies through the interdependence of its component parts (e.g., farmers produce the food to feed the factory workers who produce the tractors that allow the farmer to produce the food). As a simple example, farmers produce food to feed factory workers who produce tractors that, in the end, allow the farmer to produce more food. The two types of solidarity can be distinguished by formal and demographic features, type of norms in existence, and the intensity and content of the conscience collective. Introduced by German sociologist Ferdinand Tönnies, Gemeinschaft and Gesellschaft are two conceptual models for types of human association. Gemeinschaft and Gesellschaft are sociological categories, introduced by the German sociologist Ferdinand Tönnies, which describe two common kinds of human groupings or association. Gemeinschaft (” community “) is an association in which individuals are oriented to the larger group as much as, and often more than, their own self interest, and are further regulated by common social mores or beliefs about the appropriate behavior and responsibility of members of the association. Gesellschaft (” society “) describes associations in which, for the individual, the larger association never takes precedence over their own self interest, and these associations lack the same level of shared social mores as Gemeinschaft. association: A group of persons associated for a common purpose; an organization; society. Gemeinschaft (“community”) is an association in which individuals are mainly oriented to the will of the larger group, generally more than their own self-interest. Their activities are regulated by common mores or beliefs about the appropriate behavior and responsibilities of members of the association. These associations are marked by what Tönnies called “unity of will. ” He saw the family as the most perfect expression of Gemeinschaft; however, he also expected that Gemeinschaft could be based on shared place and shared belief as well as kinship, and included globally dispersed religious communities as possible examples of Gemeinschaft. Gemeinschaft community involves ascribed status, meaning a fixed status given by birth. For example, an individual born from farmers will come to occupy their parents’ role until death. Gemeinschaften (“communities”) are broadly characterized by a moderate division of labor, strong personal relationships, strong families, and relatively simple social institutions. In such societies, there is less of a need to enforce social control externally due to a collective sense of loyalty individuals feel for society. In contrast, Gesellschaft (“society”) describes associations in which the larger association never takes precedence over the individual’s self interest, and these associations lack the same level of shared social mores. Gesellschaft is maintained through individuals acting on their own self-interest. A modern business is a good example of Gesellschaft: the workers, managers, and owners may have very little in terms of shared orientations or beliefs, or they may not care deeply for the product they are making, but it is in all their self interest to come to work to make money, and, therefore, the business continues. Gesellschaft society involves achieved status, or a status reached by education and professional advancement. Unlike Gemeinschaften (“communities”), Gesellschaften (“societies”) emphasize secondary relationships rather than familial or community ties, and there is generally less individual loyalty to the larger community. Social cohesion in Gesellschaften typically derives from a more elaborate division of labor. Such societies are, therefore, potentially more susceptible to class conflict, as well as racial and ethnic conflicts. As all conceptual models, these categories can be challenged by social change. For instance, during the social upheavals of the Reconstruction era in the United States, former slaves, whose kinship ties were forcibly disrupted under slavery, forged new communities that shared aspects of both Gemeinschaft and Gesellschaft. A current example of a Gemeinschaft community would be the Amish, whereas the United States would be considered a Gesellschaft society. 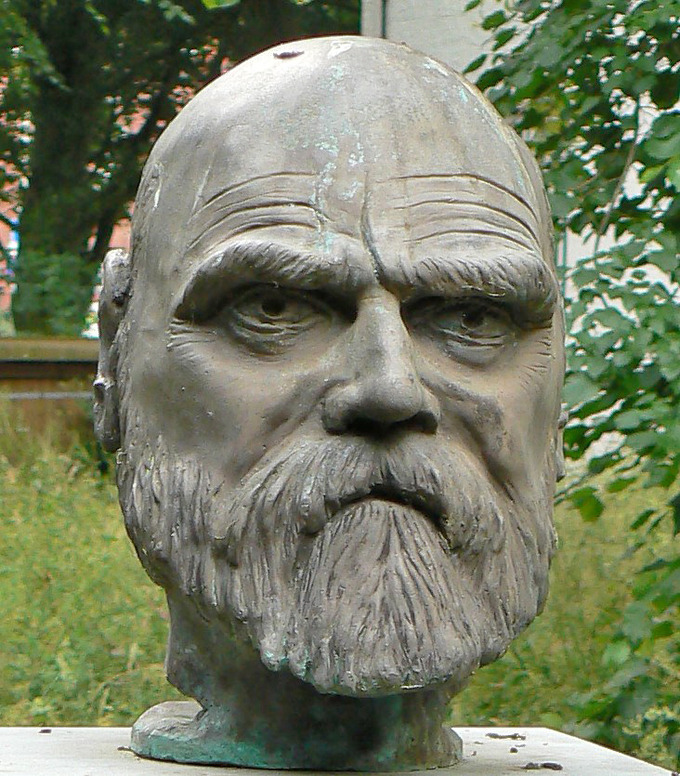 Ferdinand Tönnies: Ferdinand Tönnies’ bust in Husum, Germany. Lenski’s sociological evolution approach views technological progress as the most basic factor in the evolution of societies and cultures. Sociocultural evolution is an umbrella term for theories of cultural evolution and social evolution, describing how cultures and societies have changed over time. Gerhard Lenski is an American sociologist known for contributions to the sociology of religion, social inequality, and ecological-evolutionary social theory. Lanski views technological progress as the most basic factor in the evolution of societies and cultures. Lanski distinguishes four stages of human development, based on advances in the history of communication. In these four stages, information is passed on in this order: genetically, individually, through signs, and lastly, through symbols or language. The relationship between population and production is central to Lenski’s thought. shared culture: Lenski claims that members of a society are united by a shared culture, although cultural patterns become more diverse as a society gains more complex technology and information. Gerhard Lenski: He is an American sociologist known for contributions to the sociology of religion, social inequality, and ecological-evolutionary social theory. Sociocultural evolution: It is an umbrella term for theories of cultural evolution and social evolution, describing how cultures and societies have changed over time. Sociocultural evolution is an umbrella term for theories of cultural evolution and social evolution, describing how cultures and societies have changed over time. Most nineteenth century and some twentieth century approaches aimed to provide models for the evolution of humankind as a whole, argue that different societies are at different stages of social development. Gerhard Lenski is an American sociologist known for contributions to the sociology of religion, social inequality, and ecological-evolutionary social theory. 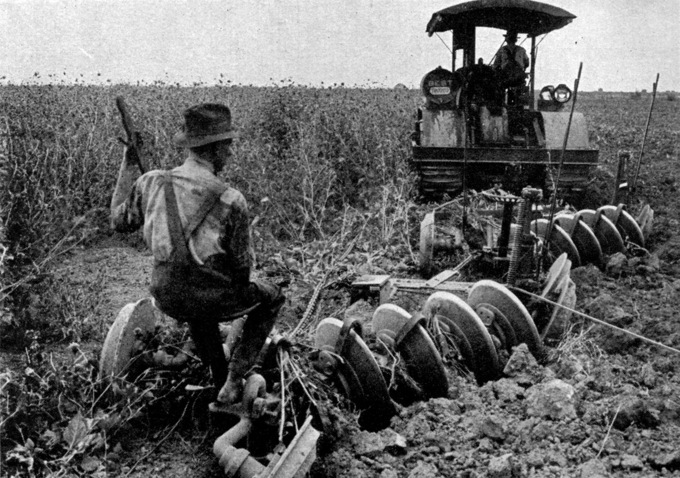 Agriculture: A tractor ploughing an alfalfa field circa 1921. In his books, Power and Privilege and Human Societies: An Introduction to Macrosociology, Lenski expands on the works of Leslie White and Lewis Henry Morgan. He views technological progress as the most basic factor in the evolution of societies and cultures. Unlike White, who defined technology as the ability to create and utilize energy, Lenski focuses on information, its amount and its uses. Lenski claims that members of a society are united by a shared culture, although cultural patterns become more diverse as a society gains more complex technology and information. The more information and knowledge a given society has, especially where it allows humans to shape their environment, the more advanced it is. He distinguishes four stages of human development, based on advances in the history of communication. In the first stage, information is passed by genes. In the second state, with the development of agriculture, humans are able to pass information through individual experience. In the third, humans begin to use signs and develop logic. In the fourth, they create symbols, and develop language and writing. Advances in the technology of communication translate into advances in a society’s economic system and political system, distribution of goods, social inequality and other spheres of social life. The relationship between population and production is central to Lenski’s thought. Human reproductive capacity exceeds the available resources in the environment. Thus, Lenski concludes, human populations are limited by their capability of food production. According to Lenski, human capacity for population growth has been a “profoundly destabilizing force throughout human history and may well be the ultimate source of most social and cultural change.” It is the relationships among population, production, and environment that drive sociocultural evolution.